How important is the life in our soil? Just as important as our own life, said a fist-grade student to us today. Its days like this that we learn as much from students as they learned from us! 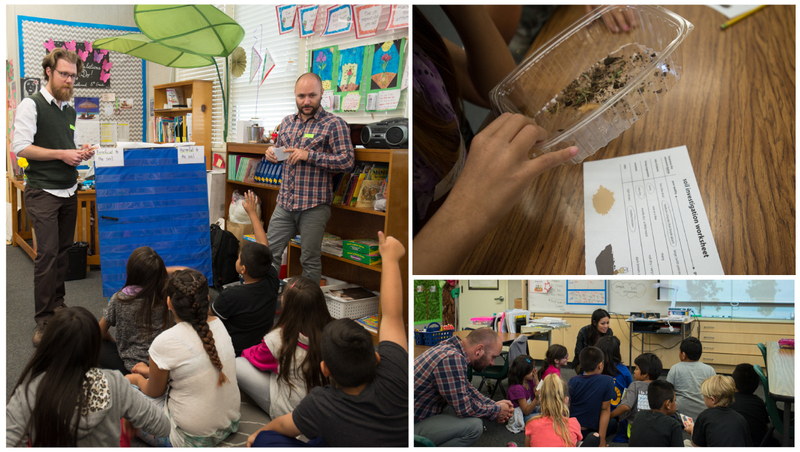 Today Final Straw piloted our first educational lesson about soil and food, in cooperation with two forward-thinking educators, Patrice Milillo from Art Is Power, and Lien Do at Castlemont Elementary School. 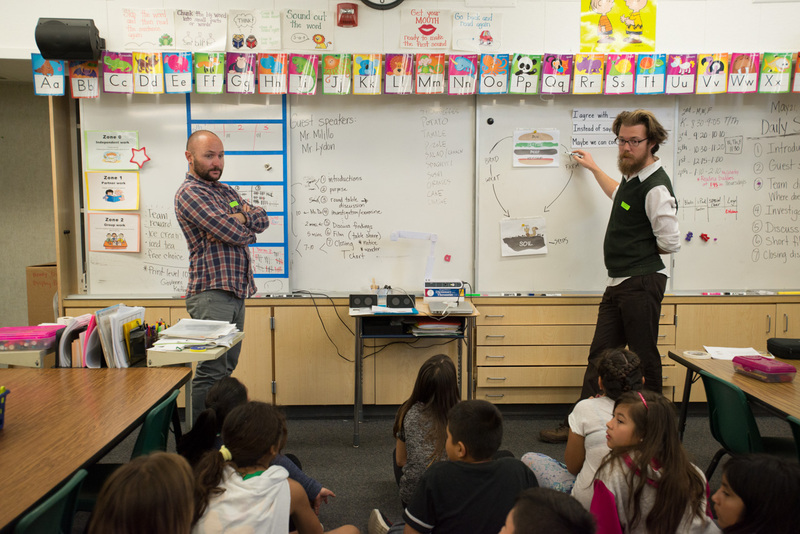 This Final Straw Education Kit will be a part of our upcoming film release, bringing hands on lessons about food, earth, and happiness into K-12 and University education. With the help of Milillo and Do, we were able to both be innovative and align with Common Core standards that students are measured against in the United States. 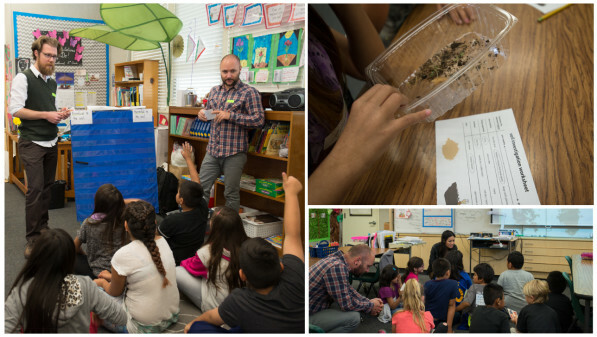 The kids seemed to enjoy thinking about how their favorite foods relate to the soil, and I was surprised how energized they were when we assigned them the role of soil scientists. Their faces lit up! I was reminded of how “cool” it is to learn in a way that connects your day to day life and actions with the rest of the world. 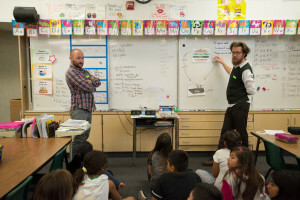 In this case, the students entered into a “relationship” with the soil, both by investigating how their food comes from it, and physically digging into some soil samples to understand the differences between ‘industrial’ farm soil and ‘local’ farm soil, and why small scale and local food is a key to build healthy environments for our future. It is a point which recent research shows is the one of the most important ecological issues for humankind in the next 60 years. In the end however, we want kids to take away not just an awareness of the issues we face, but to be inspired as to how they can make (and invent) their own actions and solutions. It was a deep lesson for these young kids to take on, and an important one for their future, so it made my heart smile when I saw them picking up on the themes and coming to conclusions on their own, including some pretty profound realizations, like an enthusiastic “if the soil dies, we die” and unprompted solutions like “getting food from a farmer” as a way to help the soil become healthy. We are glad to have had this opportunity today, and look forward to putting what we learned into developing a really thoughtful, powerful, and useful lesson plan for teachers and their students about food, earth, and happiness! ← What Would Happen if We all Grew Food?